Ah the ginger root — the edible rhizome of the flowering ginger plant Zingiber officinale. This increasingly common kitchen herb has many more tricks up its sleeve besides making your curries and stir-frys really sing. Chinese Medicine assigns two types of descriptors to any sort of herb or food - Nature and Flavor. These two categories of description tell us about the intrinsic qualities of a plant, animal, or mineral and give us insight into how to use that item either as food, medicine, or both. Fresh Ginger has a warm nature and an acrid/pungent/spicy flavor. Items that are warm in nature have effects that fit with that word. In the case of ginger in particular, it has the ability to warm the body physically, especially throughout the digestive system and even on the surface of the skin. We often find ginger combined with foods that tend to be cooler in nature like pork or shrimp and many people have used it for generations to ease an upset stomach. In fact, it is one of the key ingredients in remedies to relieve morning sickness. As for it’s flavor, you might see acrid, pungent, or spicy used to describe this plant because finding the exact word to translate the Chinese word xīn 辛 is a challenge. 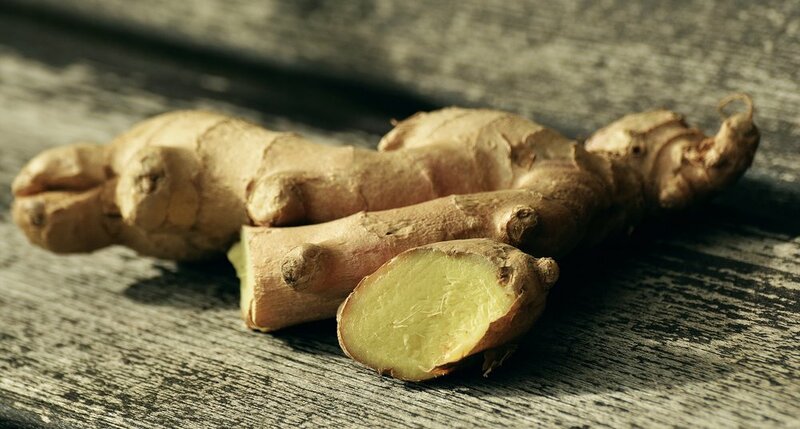 None the less, if you were to bite into a slice of fresh ginger, you would get a real sense for the potent flavor of this root. 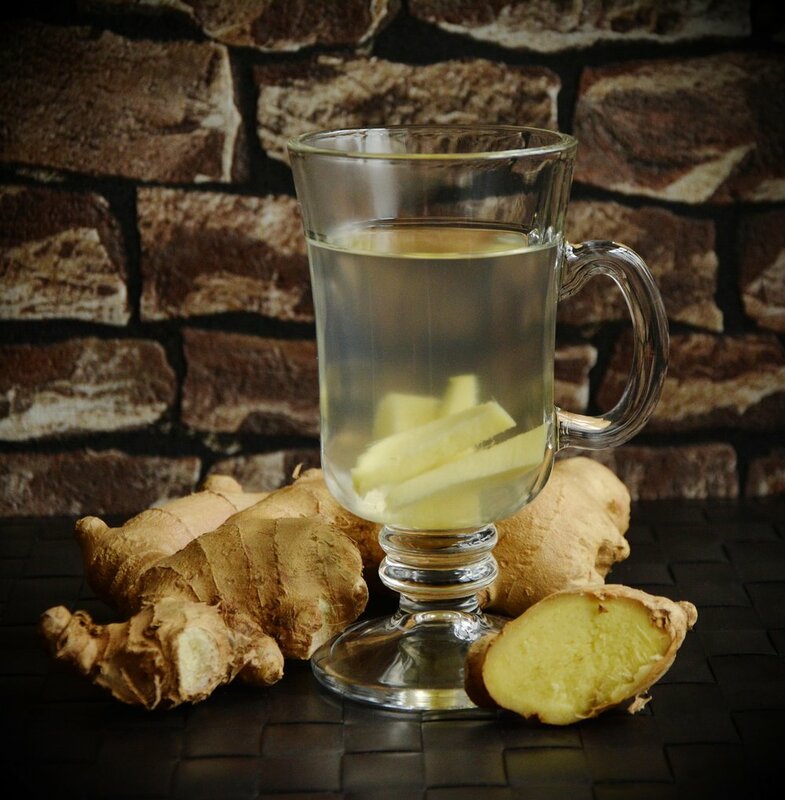 Fresh ginger’s nature and flavor give it a particularly powerful ability to prevent a nascent cold or flu pathogen from getting settled into your system and wreaking havoc. So get some fresh ginger root when you are at the store next. Store it in the pantry with your potatoes and onions so that you will be prepared this season. Now you know the feeling: you wake up one morning and you feel a little off. Nothing super obvious but a little slower, maybe a slight ache in your neck and a tickle in the throat. You’re not sick but you feel like you might be soon. 1.) Take about 2 inches of ginger or a piece about the size of your thumb and slice into thin pieces. 4.) Strain out the ginger pieces and mix in a spoonful of local honey, molasses, or good quality brown sugar. 5.) Drink your spicy ginger tea with its slight sweetness until its all gone. Then immediately hop into a hot shower. 6.) Wash up in the hot water until you’ve got a slight sweat going on. Change the temp to something a little cooler. Finish up and dry off. 7.) Bundle up and stay covered through the day, especially your back and neck and if you’re outside, cover your head too. Stay out of the wind or drafty areas. 8.) Drink lots of water throughout the day and eat your veggies. Lots of ‘em! When you get home from work or school, you can repeat this process including the hot shower. The goal here is facilitate your body’s natural pathogen fighting abilities and push the infection out through your pores. Using ginger like this at the very first sign of sickness is essential to making it work for you. Wait too long and the picture will change and you’ll need more expert help to get better. I tried it but I’m still feeling sick! Now sometimes, you miss the window where ginger alone is effective for stopping colds. In that case Chinese Medicine has several more tricks up its sleeve to help you get better. And one of the best parts about those tricks is that they often involve more honey, cinnamon, and dates. Treating cold and flu is definitely one of our betting tastes remedies! If you feel like you haven’t been able to kick out that icky feeling before it took hold, get in touch with a Chinese Medicine provider in your area ASAP before that sore throat turns into something much more nasty.